The epitome of class, the new 2017 Mercedes-Benz GLE 63 AMG delivers style and elegance to our Milton and Hamilton drivers. With high-tech amenities, impressive performance capabilities, and a plush interior, the Mercedes-Benz GLE 63 AMG will fulfill all your needs and wants. Come by our showroom in Burlington to discover all that the GLE 63 AMG has to offer, or get in touch to find out more about this gorgeous SUV. When you step inside the 2017 Mercedes-Benz GLE 63 AMG, you’ll be enveloped in opulence. Listen to your favorite music thanks to standard Bluetooth® connectivity, or enjoy SiriusXM Radio as you cruise around Lake Ontario. Multicontour front seats cradle you and your passenger for a comfortable ride, while the cabin-air purification system ensures that any air pollution is eliminated to provide a crisp, clean environment. Under the hood, the Mercedes-Benz GLE 63 AMG houses a monster of an engine: a biturbo V-8 that has a 577 hp output on top of the AMG AIRMATIC suspension. And, as if it couldn’t get any better, the GLC 63 AMG features DYNAMIC SELECT, which allows you to customize your driving experience from Comfort, to Slippery, to Sport+. 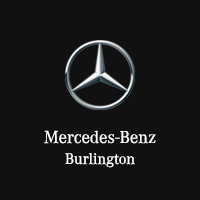 Talk to our experts at Mercedes-Benz Burlington on how you can finance the new GLC 63 AMG, and drive this beauty home today!